I definitely have a weakness for muffins. Like I love them, in all flavors! 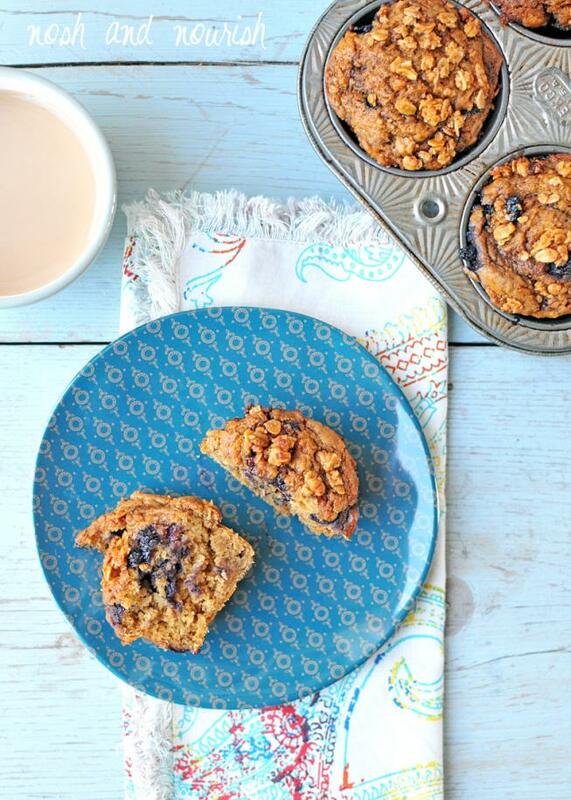 Some have even called me "The Muffin Queen!" Some of my favorites are these brownie batter zucchini ones, these banana nut ones, these spice ones, and these pumpkin ones. The good news is, mine are healthy, er... health(ier) than most. I love squeezing in nutrtious superfoods where you least expect them (the entire premise of my upcoming cookbook!) and using less sugar and butter than traditional recipes. All without sacrificing flavor. Sound impossible? Well, it's not! 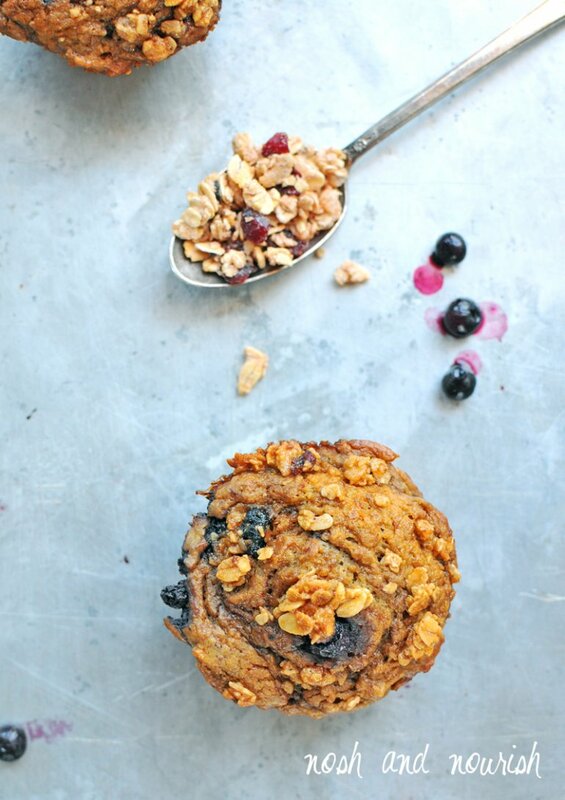 There's just something so classic and comforting about warm blueberry muffins. And these are divine. 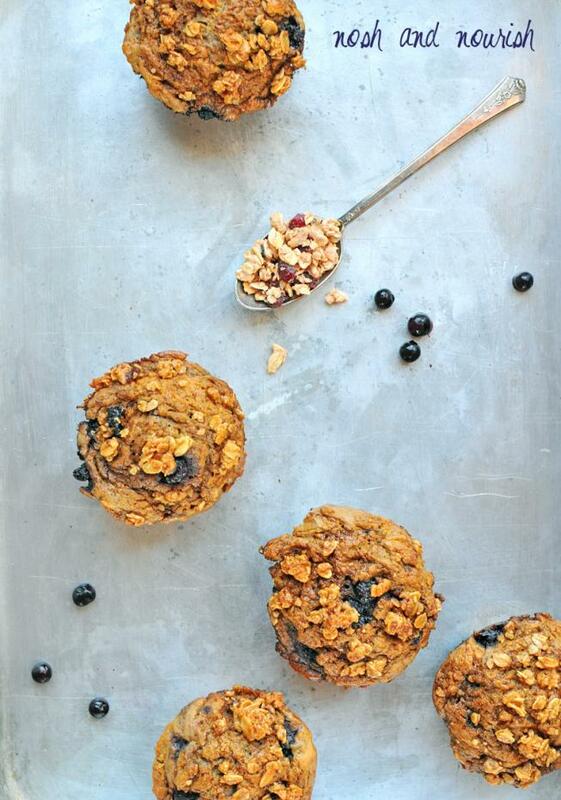 Say goodbye to boxes of muffin mix, and say hello to boxes of granola -- for the topping! 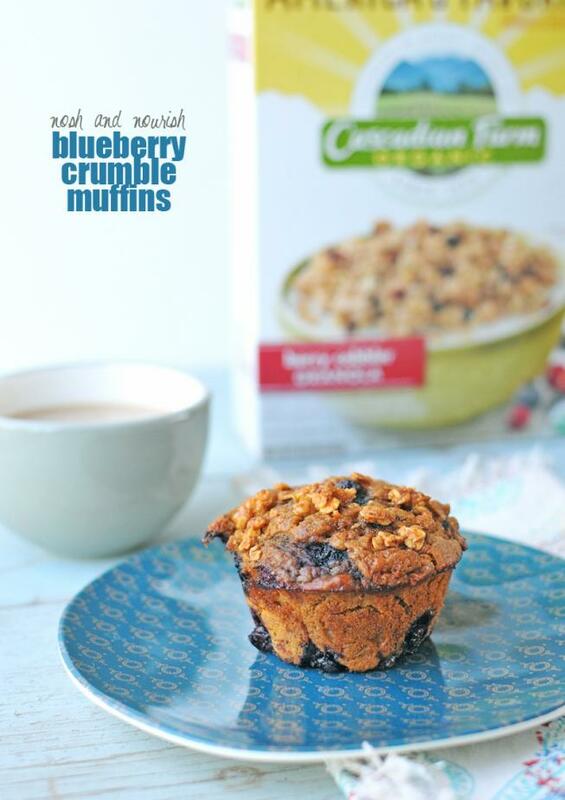 The crunch of the granola paired with the sweetness of the dried fruit takes these muffins to the next level of extraordinary. Your entire family will fall in love with them and beg you to make them weekend after weekend. Luckily, they're super easy to make! Disclaimer: this is a sponsored post written by me on behalf of Cascadian Farm. The opinions, text, unique recipe, and beautiful photos are all mine. Thank you for supporting brands that support Nosh and Nourish! !